Mr. Gnome. Madness in Miniature. We’re a little late on this one. Mr. Gnome has been getting a lot of notice lately, including reviews in Rolling Stone and Magnet, mention in Esquire and on NPR, and some TV exposure on Final Witness. Nice going. I probably can’t add much to what’s already been said about this duo from Cleveland, except for my own impressions, and the fact that we’ve added virtually all of their recordings to the Hiram College Library’s collection (and we modestly point out that we are the only academic library to do so--Cleveland Public Library also has most of their stuff). I like them, and the more I listen to them, the more I like them. My wife doesn’t, but she has radically different tastes (I only add this because of her direct comment while I was playing this loud). I switched from the boom box to my headphones. They have been dubbed “art rock” by the press, which I guess means that they’re tough to classify, and they paint their faces. The comparisons made to Pere Ubu are inevitable, but I don’t hear it (I never much liked them anyway). 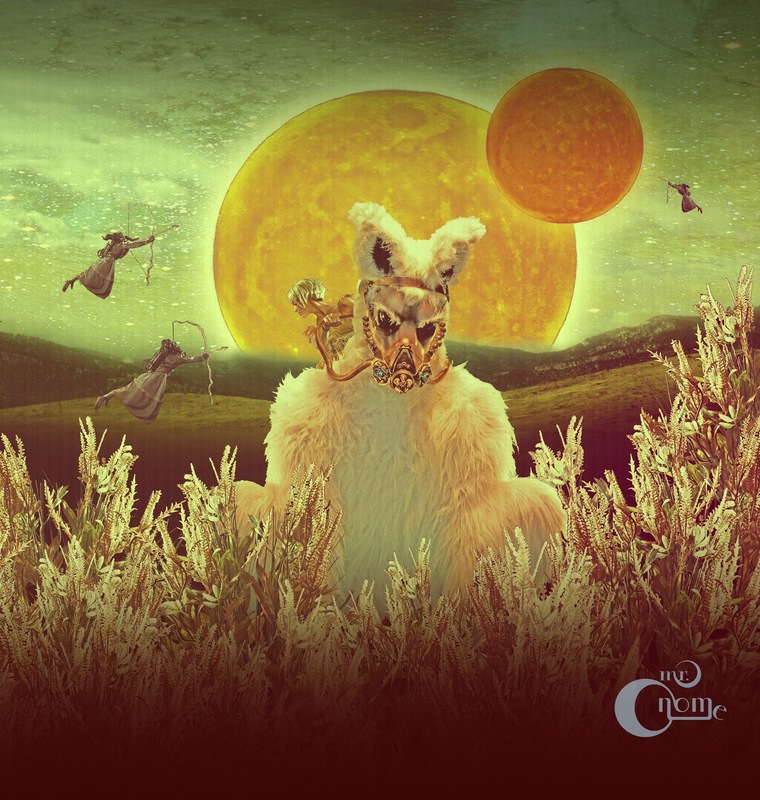 Their music is eclectic, dark, intimate, and odd, in a way that makes you want to keep listening for what’s next and piece it together in your own head. The songs have a dream-like effect, not in the sense of soft clouds and pretty lights, but more in the way real dreams go, from beautiful moments to heart-rending terror. The lyrics add to the effect by seeming like they ought to make sense, yet elude me. Nicole Barille’s voice is alternately soaring and beautiful, or shrill and screeching, depending on the effect desired. Curiously, she sometimes reminds me of Macy Gray in vocal approach, except when the screeching starts. Not that I object to screeching, after all, it is rock music and it has to make it’s point. And they rock hard, ranging from jangly alt-rock to drug-induced psychedelic tribalism to noise to other stuff that I can’t name, but change rhythms and moods quite often within the same song, so a groove seldom surfaces for long. Tracks tend to bleed into one another and the result is a pastiche effect, where one tries to make all the pieces fit into a single whole. By and large this is quite successful, and the whole is greater than the sum of its parts. The overdubbing leads to a rich, full sound that is well beyond what one might expect of a duo. For context, I listened to their earlier albums, and found a general consistency of sound, although they continue to develop their style and approach, and are more sophisticated than in their early EPs. Not surprising. As artists, they are growing and finding new ways to say what they want, and if that didn’t happen I’d be disappointed. It’s clear that this duo is making some very intelligent and enjoyable music. Keep it up. Personnel: Nicole Barille (guitars, vocals), Sam Meister (drums, piano, backup vocals), Jason Meister (guitars, track 12). Tracks: Ate the Sun, Awake, House of Circles, Run for Cover, Bit of Tongue, Fly Me Over, We Sing Electric, Winter, Wolf Girls, Outsiders, Watch the City Sail Away, Capsize. 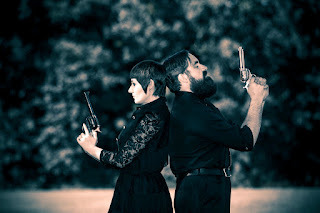 Jessica Lea Mayfield and David Mayfield. Sibling Rivalry Tour (Kent). The Kent Stage, Kent, Ohio December 14, 2012. Jessica and David started playing together in the family band, One Way Rider, way back in the mid-nineties in Kent, Ohio. One Way Rider consisted of father, mother, and siblings David and Jessica in the Mayfield clan. They started out playing in hometown Kent, Ohio, and eventually toured as far away as Tennessee. After that family start, both brother and sister went their separate ways and recorded albums on their own and with other artists. For Jessica, those solo records came after a number of collaborations with the likes of the Black Keys. Jessica has been back to Northeast Ohio on several occasions, including with Garrison Keillor on his Prairie Home Companion show at Blossom Music Center in 2010. David’s individual career started as a “gun-for-hire” and side-man for a number of artists. 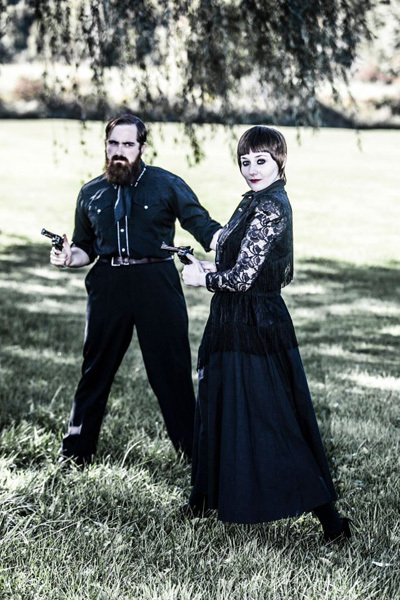 While both Mayfields have had successful careers, Jessica has more popular appeal, while David has more acclaim within the bluegrass community. The December 14th show at the Kent Stage was the last of the Sibling Rivalry tour, a fourteen-show tour across the US featuring both brother and sister together again as equals. The opening act for Sibling Rivalry, Kent edition, was another hometown hero- Shivering Timbers. Shivering Timbers hails from Akron, Ohio, and consists of husband and wife Jayson (guitar, vocals) and Sarah Benn (stand-up bass, vocals), Brian Oliver (drums), and lately daughter Suzi (piano, shakers, and cute-factor). For most of the past few months, Suzi has been touring with her parents, and often playing on stage with them, on a small children’s piano and a pair of protective earmuffs. It’s this family atmosphere that made this show in particular such a joy to see; beautiful music, and an exceptionally rare look into the family lives of professional musicians. Seeing these dynamics at work was truly fortunate, and if you get a chance to see either the Mayfield family or the Benn family together again, make sure that you get to see it! The music for the night was composed of approximately equal parts Jessica’s solo work, David’s solo work, and third-party pieces. The set list is at the bottom of this piece, and I urge you to check out recordings of these pieces in particular. I came into the show as a fan of Jessica’s, but not familiar with David, and left on a mission to find more of David’s music as quickly as I could. Both musicians are technically solid players. Jessica brings a cool, refined presence to the stage with her polished voice and flawless look, while David brings a comedic flare and gruff hipster persona. The tour title- Sibling Rivalry- hit at the heart of exactly what made the show so special. Any two musicians of Jessica and David’s caliber can come together to put on a fabulous show. It was the added layer of their own sibling rivalry that made the show epic. For a little background, one would do well to understand that while in Nashville as a family band, David took a job with his father as janitors for a factory to support the family. The interplay of older, responsible sibling on stage with younger, more popular sibling was apparent without being a distraction. On Jessica’s songs, David tended to emphasize his own playing, at times overpowering Jessica. The two were far more balanced on the third-party songs, and David’s songs gave him room to show off his talent without trying too hard to impress. Musically, David moved effortlessly from mandolin to guitar and back, changing instruments on almost every song. David’s strong suit is definitely his mandolin playing, and his won multiple awards because of that. His stage presence is another trait in his favor, as he told jokes and stories, and introduced the songs. Jessica’s crystal clear voice rang true on all notes, and her lyrics are known to be more poetic than most writers manage. Her vocal range is a bit limited, and most of her songs are arranged for higher notes, but she pulls it off well while staying perfectly composed. While there were some issues with the sound board, the quality of their playing and singing shone through like the Geminid meteors the night before their performance. Make your new year’s resolution to introduce yourself to more of these exceptional musicians. Dave Morgan. Forms of Things Unknown. Dave Morgan has been kicking around Northeast Ohio since the mid-1990s. By “kicking around,” I mean teaching at Youngstown State University, Oberlin Conservatory, and Cuyahoga Community College, working with the Cleveland and Paul Ferguson Jazz Orchestras, playing bass, and composing. His previous recording under his own name, The Way of the Sly Man, was a well-received concert-length jazz piece based on the works of G. I. Gurdjieff, a mystic, so I wasn’t sure what I would find in this album. 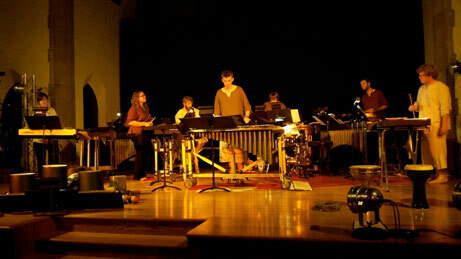 Forms of Things Unknown is a twelve-movement work for a percussion ensemble of fifteen that incorporates jazz, world musics, and elements of ambience and minimalism. It is less traditionally jazz-like than his last album, partly due to the mix of styles, but also because of the instrumentation, with vibes, marimba, and xylophone dominating the melodies in many cases, and nary a saxophone or trumpet to be heard. The performers are members of the Youngstown Percussion Collective, a talented 16-member student group that seems entirely up to the task at hand. The titles of the movements do little to prepare the listener, except for the opener, “Airy Nothing,” which provides a short, floating, introduction, and the last track, “The Only Dance,” which is exactly that--a track that is danceable, in Brazilian style. In all the movements, various tempos and rhythms are explored, with each movement standing alone as a separate piece, although some common themes can be heard here and there. Some of these are reminiscent of Middle Eastern, West African, Southeast Asian, or Latin rhythms, while others have the atmosphere of contemporary classical music. All are quite different, and for me, it is difficult to see the common threads beyond instrumentation, so I must be missing something here. None are particularly wild and dissonant, and most are quite enjoyable in their explorations of what a percussion ensemble can do. There are 1.5 exceptions. “Kundalini” is played with guiros, notched gourds that make a rasping sound. They are great when used in a larger ensemble (usually in Latin American music). To me, this just sounds like five minutes of tool- sharpening, and the various rhythms produced do not hold my interest. The following track, “Unknown Unknowns,” opens with a distracting spoken word segment consisting of people reciting a series of identical overlapping statements, that then moves to a rhythmically complex segment that I liked very much. Why they chose the opener is unknown. Quibbles aside, Forms of Things Unknown is an intriguing and highly listenable album, sure to be enjoyed by those who like their percussion in large doses. The project seems to have been largely funded through Kickstarter, the crowdsourcing funding platform. Tracks: Airy Nothing, Do I Dare Eat a Peach?, Desiring, Ritual, Better Angels, The Flow, Bindu to Ogis, Kundalini, Unknown Unknowns, Entrainment, Amulet, The Only Dance. While listening to Joshua Radin’s newest album, Underwater, I kept coming back to the same thought again and again: this man has a very consistent sound. Slightly plaintive music, combined with melancholy and introspective lyrics, is a hallmark of Radin’s music, and he hasn’t strayed very far with his newest album. I’d even go so far as to say that Radin’s music is the very definition of the country/folk singer/songwriter mold. However, having such a focused oeuvre can be a proverbial double-edged sword. Consistency works for some – look at McDonald’s – but with musicians, you’ve got to figure that fans will eventually stop buying albums if they are all pretty much the same. Regardless, I’m not sick of Radin’s sound. Not yet, anyway. (By the way, it really is his sound. Joshua Radin doesn’t have a set group of musicians with whom he works. For this album, there were people who performed on more than one song, but nobody but Radin performed on every song.) He may not do much that feels new, but what he does, he does well. Like a lot of people, I was first introduced to Radin’s sound through the television series Scrubs. His evocative sound perfectly suited the tastes of the show’s star, Zach Braff – an old friend and former classmate of Radin’s – and the needs of the show’s producers. The Shaker Heights native’s music has been featured in television and movie soundtracks multiple times since. That makes sense to me, since, taken as a whole, Underwater is the perfect album to be background music for workaday activities – soothing and mostly unobtrusive – which works well for soundtracks. There were a few songs that didn’t feel Run-of-the-Radin-mill, though. The song that gave the album its title was a bit unusual – more percussive than what he normally writes, at any rate. Similarly, “Any Day Now” is also a bit different–the synthesizer/electronic piano is more pronounced, has more of a driving rhythm--and isn’t just Radin’s standard 2/4 or 4/4 signature. The one piece that did feel completely new was “Anywhere Your Love Goes”. This song felt soul inspired, and I hope we hear more like this, and more in general, from Joshua Radin. 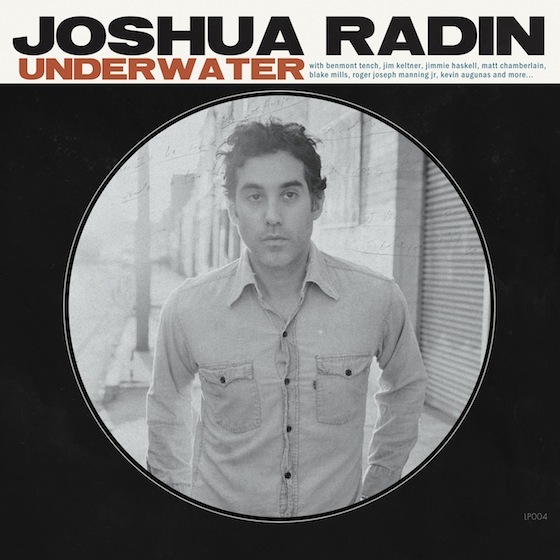 Personnel: Joshua Radin (guitar, vocals), with numerous accompanying musicians, including Jim Keltner (drums), Benmont Tench (Hammond organ, piano, Wurlitzer piano), and Priscilla Ahn (background vocals). Tracks: Tomorrow is Gonna Be Better, Anywhere Your Love Goes, Let it Go, Five and Dime, Here’s Where We Begin, Underwater, Everything, Lost at Home, One More, The Greenest Grass, The Willow, Any Day Now. 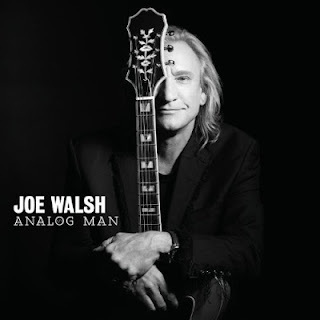 I can’t believe that Joe Walsh hasn’t put out a solo album in 20 years. I must admit, I haven’t been following his career that closely, but I fondly remember his early James Gang music (begun in Kent, Ohio), his 70s solo hits, and his work with the Eagles. Apparently the last item has consumed much of his time in the last two decades, along with family and personal issues. No matter. He’s back, and he sounds very nearly the same, perhaps a bit more mellow, his twangy voice stretching for notes, and his guitar still playing the same familiar chords that made him unique. The first two tracks are dynamite. The title track talks about him feeling lost in the new digital world. It’s a bit ironic though, because Joe’s album is digital, his web site seems quite up-to-date stylistically, and he seems quite comfortable in his playing despite his somewhat archaic brand of funky rock (and I don’t mean that in a bad way). Part of that comfort may be derived from his use of Jeff Lynne as producer, who has no problem with digital equipment. The second track, “Wrecking Ball,” seems to refer to his former antics and less than clean-and-sober lifestyle. Both tunes are strong, with delicious guitar work. He slows down for a couple of tracks, including the much-publicized “Lucky that Way,” which has Ringo Starr on drums (not so you’d notice). Then he gets all ballady, with “Family,” another chance to bring in guests, this time David Crosby and Graham Nash, for harmony vocals. The result sounds a lot like an Eagles track, kind of sweet and friendly. After that, he’s back to more uptempo tunes, like “One Day at a Time,” another reference to his previous party lifestyle, now replaced by AA. “Funk 50” is a reprise of the old James Gang tune, “Funk 49,” and is probably the most hard-rocking song on the album. Walsh cleans up on another hard-rocker, “India,” where he plays all the instruments, leaving the programming to Bruce Sugar. The effect here is a combination of his traditional sound with one that is more digital, as if in response to the opening track. He’s just showing off, proving that he can do digital too, if he wants to, and it sounds just fine. All in all, this is a very strong and enjoyable album. Before writing this review I went to Spotify and played old James Gang tracks all morning long, just to refresh my memory. Walsh still has it all in his music, modified just a bit to reflect all he’s been through since the early 1970s, and a different producer. It sounded great back then, and it sounds great now. Personnel: Joe Walsh (guitar, lead vocals, bass, synthesizer), Jeff Lynne (drums, keyboards, guitar, bass, vocals), Steve Jay (percussion), Bruce Sugar (programming); with guest appearances by Ringo Starr (drums), David Crosby (vocals), Graham Nash (vocals), and assisting musicians.